Michael Shapiro is quoted in an article on the mid-century modern residential architecture in Reston, Virginia. Washingtonian looks at the before and after of a mid-century modern Charles Goodman renovation project Michael Shapiro did with Michael Cook, AIA, of Cook Architecture. Bethesda magazine interviews Michael Shapiro about mid-century modern homes in Montgomery County. Writer Amanda Abrams interviews Michael Shapiro about the area's mid-century modern neighborhoods. 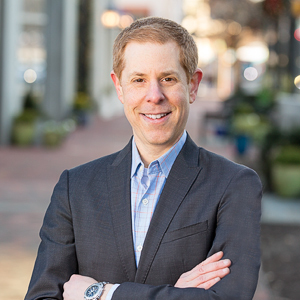 Michael Shapiro specializes in helping clients buy and sell modern and mid-century modern homes in Maryland, Virginia and Washington, D.C. Since 2009, Michael has sold more than $80 million in modern real estate, including several properties facing the wrecking ball that he helped save and redevelop. Michael’s website, Modern Capital (moderncapitaldc.com), has been recognized by the Washington Post, Bethesda Magazine, DC Magazine, Washingtonian and other publications as the go-to source for mid-century modern real estate in the D.C. area. A former journalist and top-level strategic communications professional, Michael brings a personal passion for mid-century modern design and architecture and markets his listings directly to buyers seeking modern and contemporary homes by noted modernist architects such as Charles M. Goodman, Thomas Wright, Chloethiel Woodard Smith, Harold Esten and Keys, Lethbridge and Condon, among others. He started blogging 11 years ago about the area’s modern real estate when he and his family were looking for their own mid-century home and he could not find a resource to help their search. Michael is a proud supporter of Docomomo-US, the D.C. Preservation League, the National Building Museum, and the biennial Hollin Hills House and Garden Tour. He is a founding and current board member of Docomomo’s DC chapter, which is dedicated to increasing public awareness, appreciation and protection of modern architecture, landscapes, neighborhoods and sites in Washington, D.C., and surrounding areas in Maryland and Virginia. A native New Yorker, Michael has lived in Northern Virginia and now resides in Bethesda, Md., with his wife, daughter and son. "When it came to selling my mother’s mid-century house, we did not know what to do or how to price it. Michael was knowledgeable, friendly, helpful, and responsive. He made a difficult process so much easier. If you are buying or selling a mid-century modern house in the DC area, he is your man. I recommend him enthusiastically."